Make the most of winter this year with a weekend winelands getaway to the picture-perfect Clos Malverne Wine Estate. 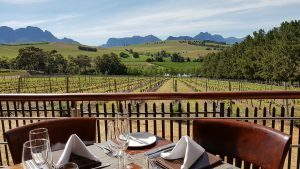 Situated in the heart of the Stellenbosch Winelands, visitors are guaranteed to leave feeling completely relaxed and rejuvenated from their two-day experience. The tailor-made Lifestyle Package includes two nights’ accommodation for two people in one of the estate’s luxury units, a four-course Food & Wine Pairing lunch at their highly-acclaimed restaurant, a Pure Bliss Couple Spa Treatment and to remember them by, a parting gift of some of the estate’s award-winning wines to take home and enjoy. The cost for this unique getaway is R4 950 for two people and includes all of these amazing offerings. The tranquil surroundings and breathtaking scenery complete what promises to be the perfect winter getaway. Ideally suited to couples, but also the perfect excuse for you and your BFF to get away for that long awaited mini vacation. The family-owned and -operated estate may look small from the outside but once you step onto the property you’ll be amazed at what they have in store. 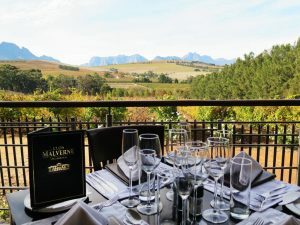 The Tasting Room is the perfect introduction to their extensive selection of superb wines, which comprises the Devonet and Clos Malverne ranges. The best description for the restaurant is ‘Food with a View’. You’ll be forgiven for taking your time enjoying your meal as you take in the beautiful surroundings. The panoramic views from the restaurant are a sight to behold. The health and beauty spa on the estate offers a range of luxurious treatments guaranteed to rejuvenate the soul. In 2017 six luxury accommodation units were added to the existing offering, which brings the total to nine suites and each room has been named after a wine varietal which adds a slightly quirky element and most certainly a talking point. For more information about the Lifestyle Package or to book contact Michelle Nolte on 021 865 2022 or email accommodation@closmalverne.co.za.